Pigs can play video games, distinguish peppermint from spearmint, maybe even lie to each other. Just how smart are they? Beyond that, comparing pigs to dogs (or children) is like comparing, well, apples to oranges. Animals develop specializations according to their surroundings and trying to draw cross-species comparisons is not very meaningful. But back to the video games. Croney says that when she first embarked on pig research in 1998, she did not know much about pigs, but what she heard was not flattering. 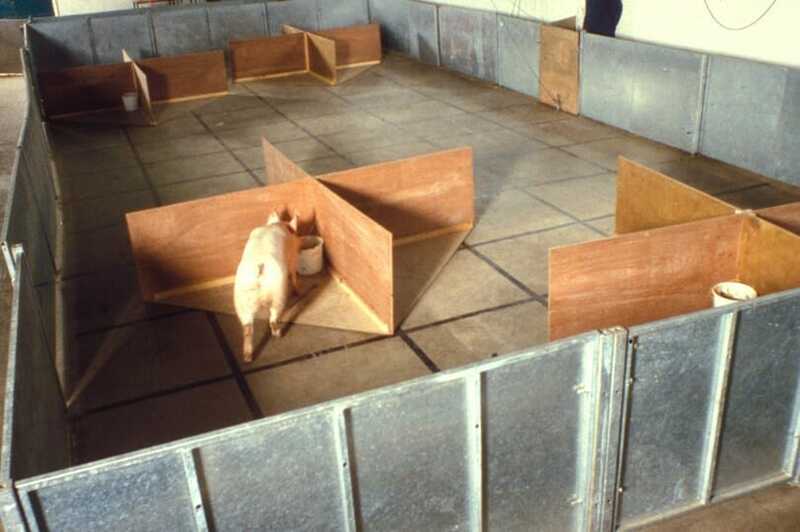 As part of the first lab in the United States to explore pig cognition, she participated in a study that set pigs to a task that previously only Rhesus monkeys and chimpanzees had been asked to perform. The pigs were provided with specially made joysticks that they could control with their mouths or snouts and then tasked with the job of moving a cursor around on the screen to make contact with different target walls that would shrink and move away. Croney did not think the pigs would be able to do it. But they could. She soon set her pigs to other tasks. They were asked to perform duties in which they had to respond to visual cues. They were given odor quizzes, correctly picking out, say, spearmint, from an array of other smells that included mint and peppermint. Some studies have shown that scent is so important to a pig that if you cover up a part of a pigs’ cheek, they have trouble recognizing each other because that is where they emit a certain pheromone. Croney’s pigs were pampered and stimulated. They lived in large indoor runs and had lots of toys to play with to break up the monotony of the day. Croney says the pigs were extremely clean, that they housebroke themselves and that at the end of a play session they put their own toys away in a big tub. Of course, it’s not all videogames and housekeeping. Some researchers have delved into the pigs’ dark side. Researcher Mendel, for instance, asked the question: Can pigs exploit and deceive each other? His pigs were placed in an arena and confronted with a choice of buckets, only one of which contained food. Each pig was given two chances to locate the food. 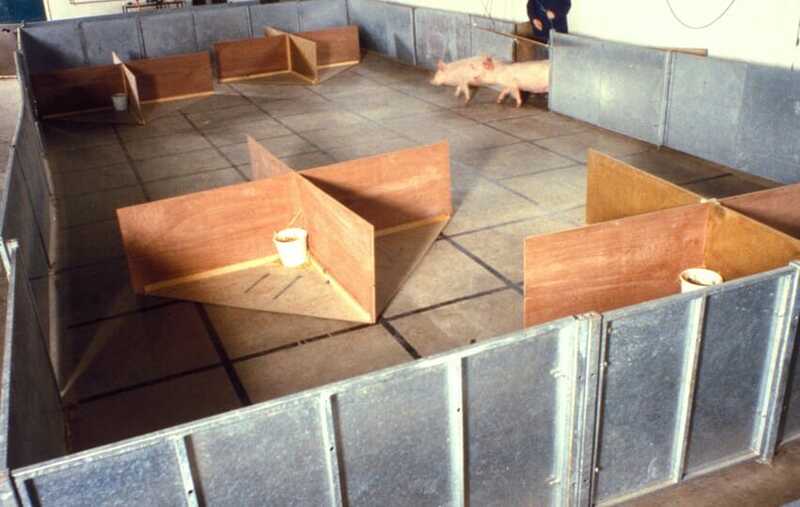 On the second run, the food remained in the same place, so the pigs could rely on memory to locate their meal. But there was a catch: On the second run, each pig was also accompanied by a bigger pig, a pig who did not have the benefit of knowing where the food was, but did have the benefit of bulk. This, of course, was not a happy development for the smaller, knowledgeable pig. “So the idea behind that was to look at whether pigs showed any sign of being able to deceive each other,” says Mendel. And, it appears, they might. After getting stiffed out of a few meals by their bulky penmates, the researchers noticed that the little pigs would lollygag a bit, only heading for their meals when the big pigs were heading in the opposite direction or had their backs turned. “So that’s quite interesting, and one interpretation is that the small pig understands it’s being parasited and it develops a deceptive tactic,” says Mendel. Unfortunately, Mendel says, the behavior may not be that sophisticated at all. There’s always an alternative explanation that the little pig simply learns that when he is near the food, and the big pig is near the food at the same time, something bad happens. So its better to just avoid those two things happening at once. The inscrutability of the pig is frustrating. Seth Dunipace, a veterinarian and post-doctoral fellow at University of Pennslyvania’s Swine Teaching and Research Unit, has observed firsthand what pigs are capable of. He chose pigs because he wanted to work with a large production animal, but also because he likes them. “I’m sure a poultry person will tell you about their personalities, it just wasn’t for me,” he says. Pigs are social, they remember locations well, they remember negative and positive experiences, can tell the difference between individual pigs and humans, recognize themselves in mirrors and learn from other pigs, says Dunipace. Kristina Horback, an ethologist (a person who observes animals in their natural habitat) who is also a post-doctoral fellow at the university, has a background in chimp and dolphin cognition. She has observed group communication and communal nursing in the university’s teaching barn, and says we are just scratching the surface of understanding how pigs communicate vocally and with olfaction. They give eye contact and are very tactile, mouthing the boots and clothes of their human caretakers. “The social structure of pigs is just like elephants, they have the increased prefrontal cortex like primates and humans because they eat meat and they have the need to hunt and forage,” says Horback. But because pigs are produced for consumption, they get “put in that special category for human psychological purposes” she says. Dunipace and others at the research unit are investigating ways to improve the welfare of pigs that can be upscaled to commercial units, and for that reason, must walk a fine line. There is, for instance, a videogame created by the Utrect School of the Arts and Wageningen University in the Netherlands called “Pig Chase” that allows a human, from the comfort of their home, to bounce a light around on a touchscreen set up in a pig stall. When the pig touches the ball with their snout, sparks of light fly off. Humans have a little more contact with livestock; pigs are stimulated. 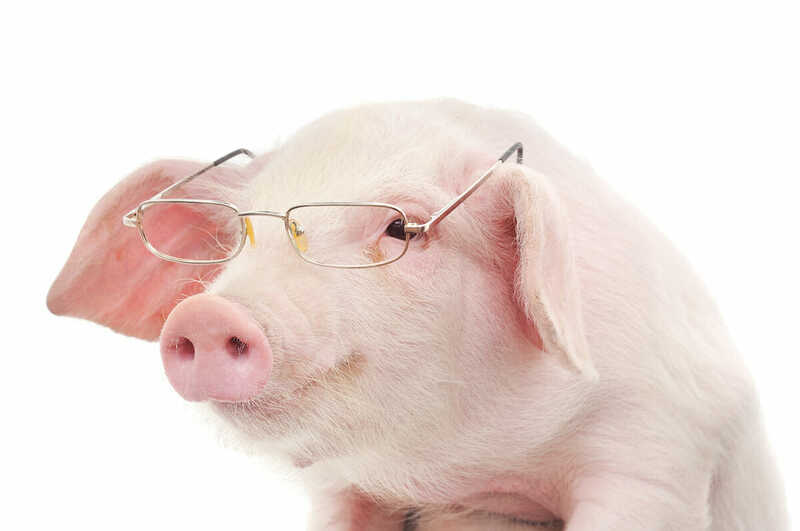 Croney’s research was also motivated by improving welfare for pigs, and she says she does not think her work is likely to change whether or not people eat pigs. Dunipace thinks we should be asking ourselves why we care how smart a pig is. Croney prefers not to say whether she eats pigs or not, because people tend to interpret it as a greater statement on whether they should consume pork. In truth, Croney says, she is a fickle eater. But she did say that doing research with pigs raised another ethical issue for her: What do you do with a pig that’s been gently handled and enriched every day as her research subjects were? Croney was not content to simply return them to the life of an average pig. She found homes for every single one. A previous version of this story spelled Kristina Horback’s name as Horbat. We regret the error.